Poured from a 22 oz bomber. It is a clear, honey golden color, with a slightly off-white sudsy head. 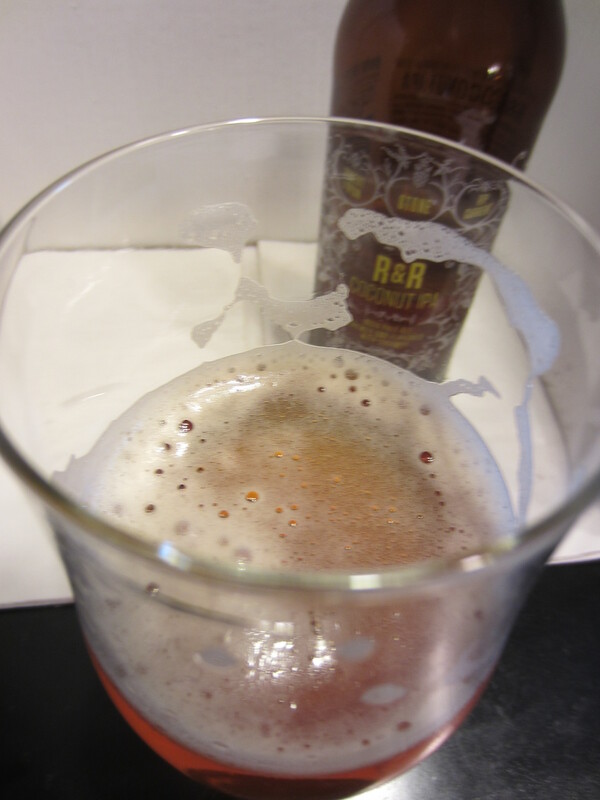 A tiny bit of carbonation is visible in the glass, and light lacing is left throughout. Tropical fruit citrus hops dominate the aroma. I also get a bit of a spicy aroma mixed with some floral hops. Additionally, I notice a candy sweet undertone (maybe candied orange?). Oddly enough, I don’t get any coconut at all in the aroma. A medium bodied mouthfeel is presented, maybe a touch on the harsh side with the carbonation, finishing with a good kick of hop bitterness. The flavors align with the aroma; tropical fruit, floral hops mixed with lemon zest, smooth sweet malts. 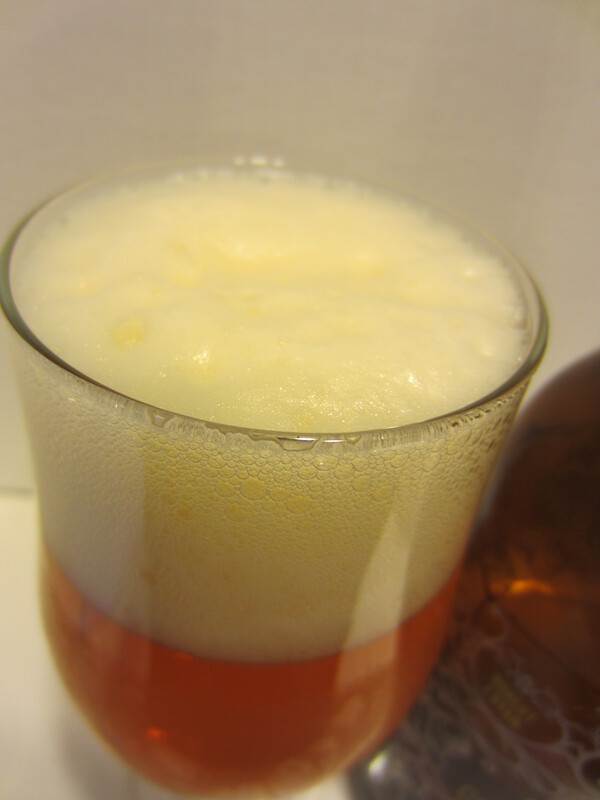 It finishes moderately dry, with a bittering aftertaste of floral and grapefruit hops. As in the aroma, I don’t get any coconut in the flavors. Well, this is a very solid IPA. It is right on par with Stone’s line of IPA’s and Double/Imperial IPA’s. 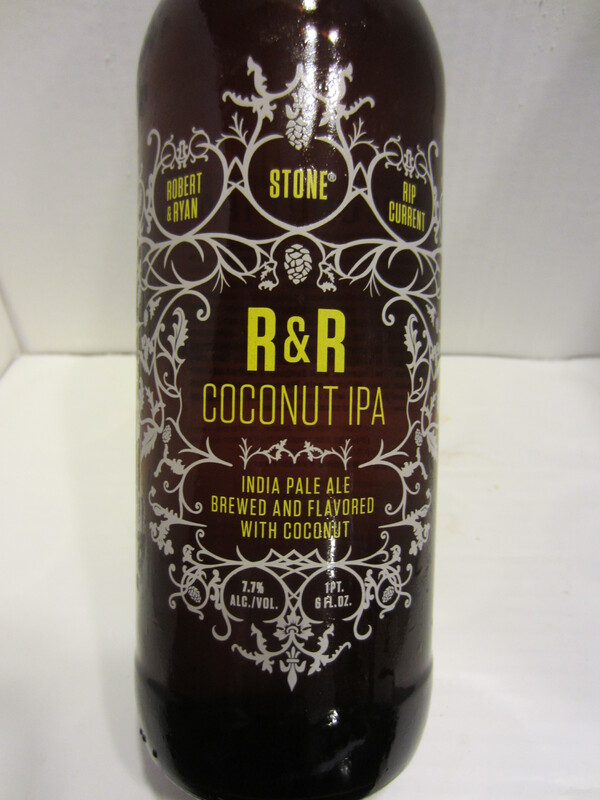 Unfortunately, there is no coconut in this coconut flavored IPA. 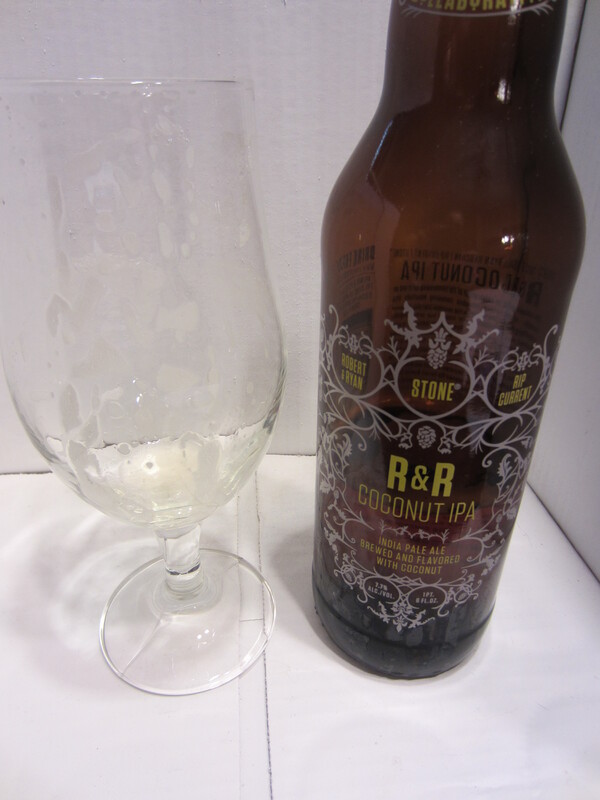 Any coconut that was put in during the brewing process has been consumed by the big hop flavors. 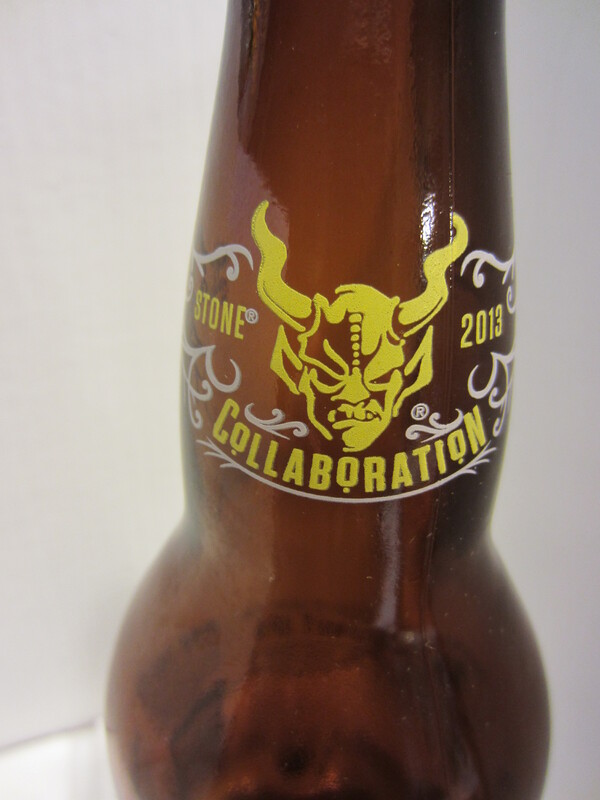 I’m sure that the homebrew/small batch iterations of this beer had a strong coconut presence, otherwise Stone would be silly to market a new flavored collaboration beer that tastes pretty much like one from their standard line of brews. Something obviously didn’t translate to large scale brewing, and that is unfortunate. Good IPA flavors, but not the finished product the brewers set out to make. 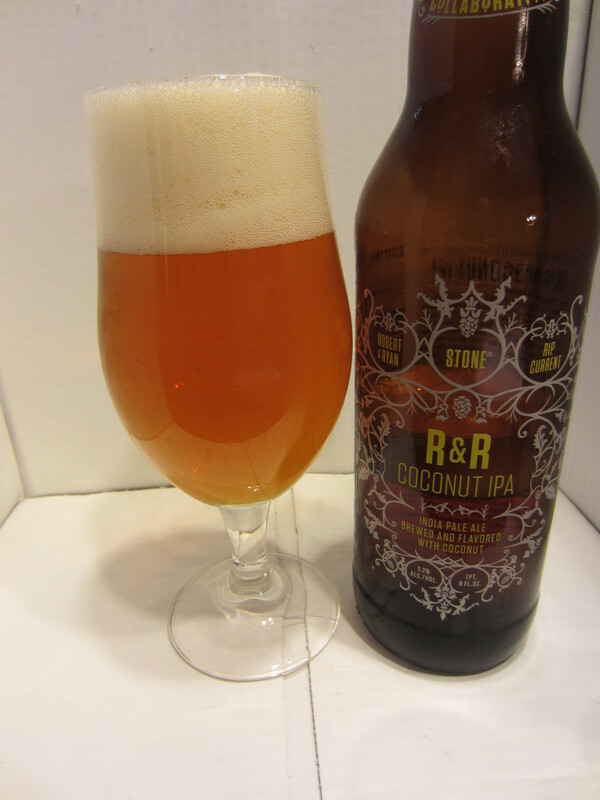 So…damn good IPA, minus no coconut flavor, equals a 7.5/10. I think that if it wasn’t a coconut labeled brew, it would be right around a 9. I also gave this a good review. Love this beer.